If you’ve been following my blog for a while, you will know how much my beloved Cornwall means to me and especially magical St Ives. Imagine then, my utter joy when asked to come up with some ideas for a 6′ sculpture to be placed at the heart of the old town. The sculpture is to be a memorial to my client’s father who built the development where the work is to be sited (at this point still confidential – but more news in due course). He has spoken to a number of other sculptors over the last couple of years but struggled to find someone who could get on his wavelength or in whom he had the confidence to deliver. 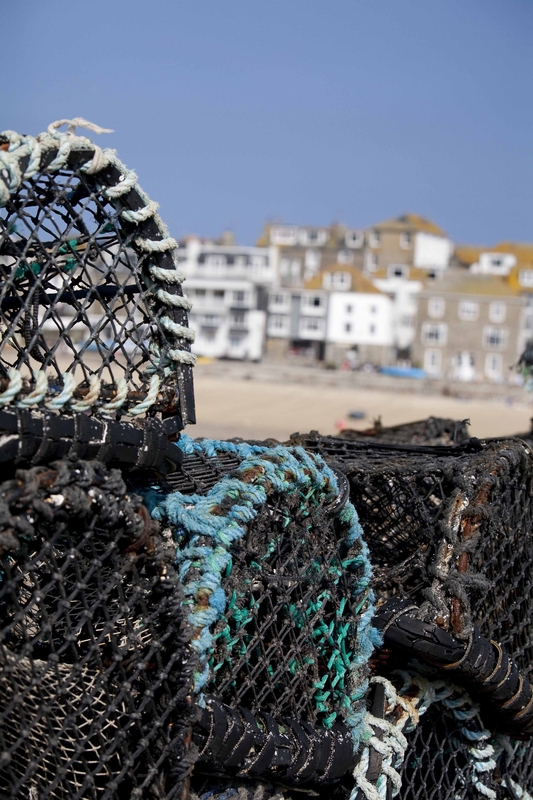 In beginning to work up ideas I looked at a number of factors – some site specific such as the macro location (between the bays in St Ives) and some micro (the peculiarities of the precise location itself). Then of course there is the broader context – I was for example able to get hold of a number images of the father’s paintings. 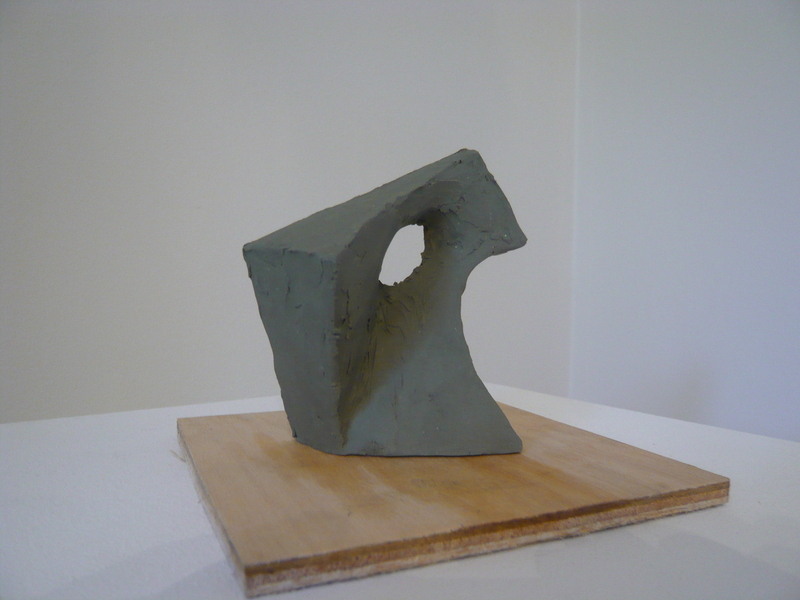 Another detail is that there had previously been a Hepworth type sculpture on the site – so I wanted to reflect this in some of my ideas to see if this connection ultimately resonated in some way. 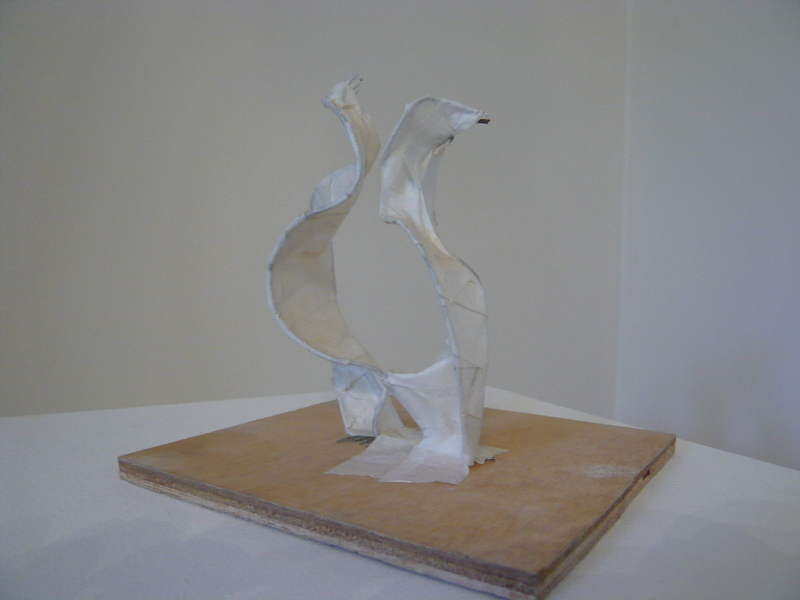 Initially I made loads of actual sketches to try and start working up ideas for forms and as these began to develop I made a series of 3d sketch maquettes in plaxtin and wire & tape, a selection of which I’ve shown here. Eventually – and I’ve deliberately missed out loads re site visits and client / trustee meetings and so on that you might expect. We agreed on the preferred little sketch which I then used as a reference to develop the final working maquette which is about 2′ high (see bellow). 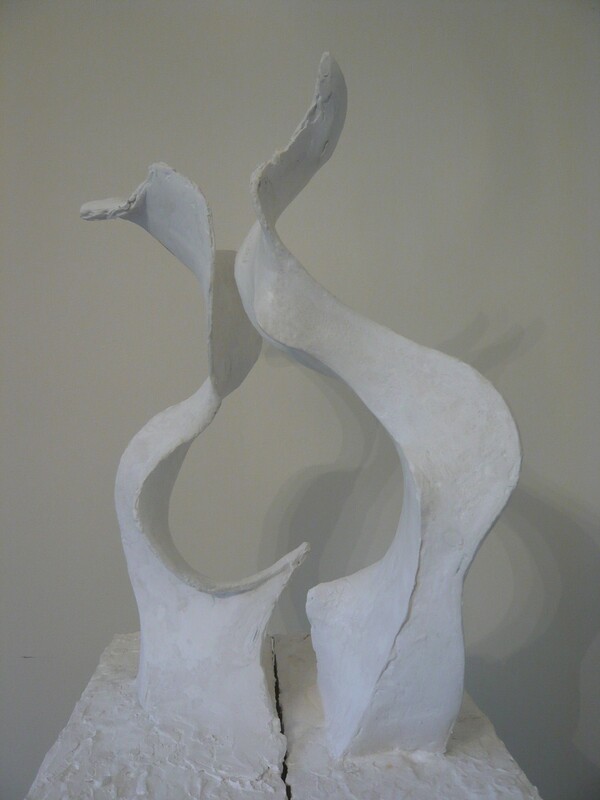 It is in two inter-related forms and made of wire and crystacal (plaster) – it has for me a feeling of dancing waves and is at once of the sea and of the human form. It looks lovely in-situ and now my job is to scale it up to produce the final work which is due to be unveiled in Spring 2014. 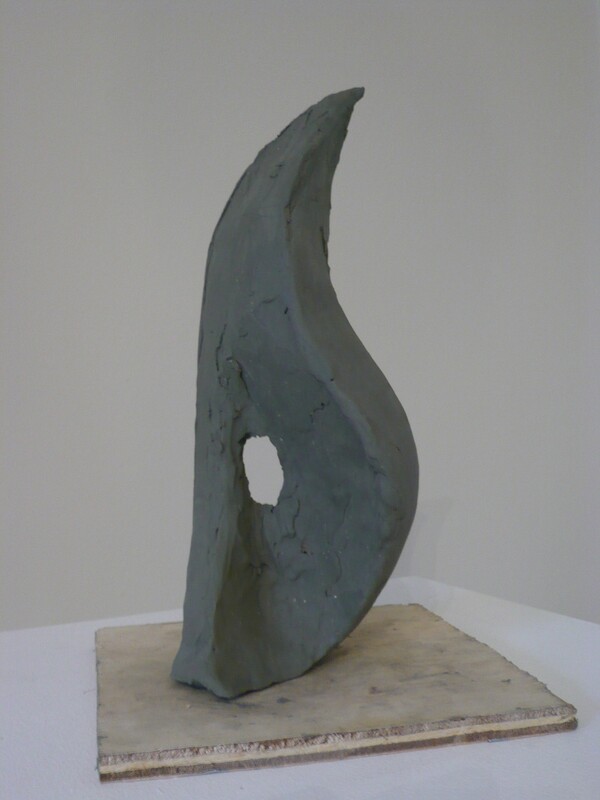 This entry was posted in abstract sculpture, figurative sculpture, gary scott blog, plaster sculpture, sculpture blog, Uncategorized and tagged figurative sculpture, gary scott, gary scott blog, gary scott sculptor, gary scott sculpture, sculpture blog, sculpture in st ives. Bookmark the permalink. 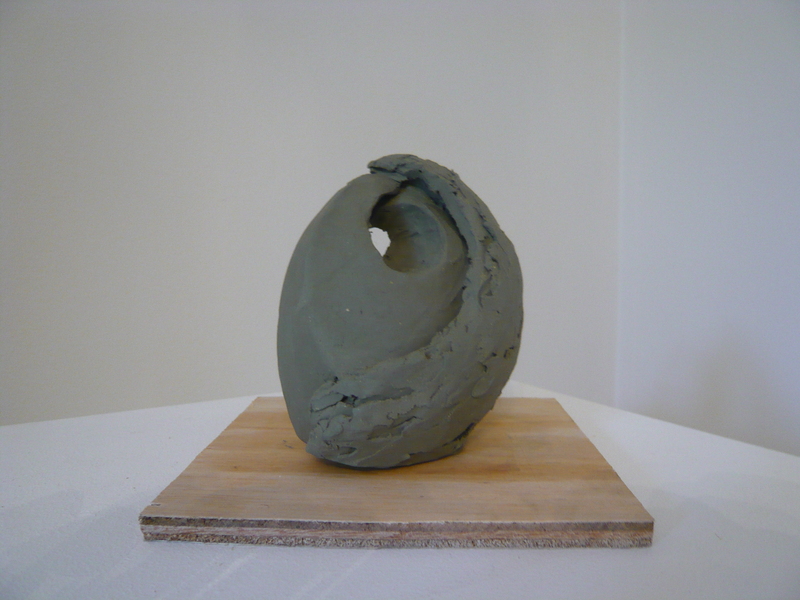 love this bottom maquette…looks like the waves of St. Ives….thankyou for the twitter follow.